A CCG all about dueling - The goal of Duelyst is simple: kill the enemy general before they kill you. Cards help a lot in this effort. In most collectible card games, the hero, or summoner (or whatever you want to call it), sits out of sight, signified by a portrait, but in Duelyst, your general starts on the battlefield and gives the game its namesake. 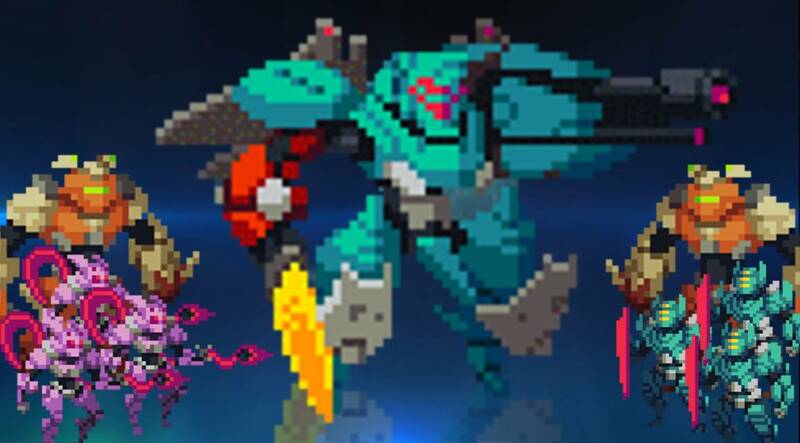 Battles in Duelyst are just that, duels. It’s your general pitted against your enemy’s general, and all the cards you play are in service of that. 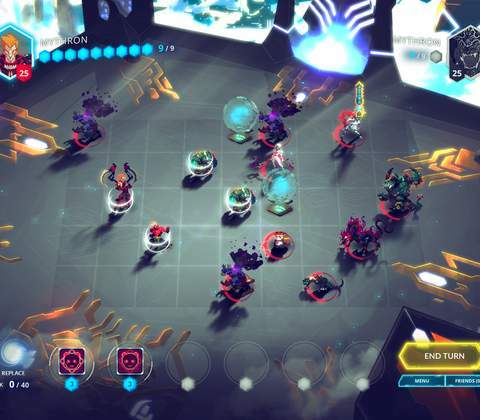 Aside from the dueling nature of Duelyst, one other aspect of the game helps to set it apart, the battlefield, and this really is a battlefield, not a board. It uses grid-based movement to position the general and any subsequently summoned minions to the best spot. While positioning in a lot of other games comes down to who’s next to whom, and which minion you wish to have block, in Duelyst the rabbit hole goes much deeper. But that’s not to say that Duelyst is impenetrable. It’s one of the many games that adhere to the mantra of being “easy to learn and difficult to master.” Of course, it will behoove you to keep positioning in mind. You’ll want to keep your heftier cards up front and your ranged or casters in the back and let them do their thing from afar. Also to consider: do you want to be aggressive with your general, or do you want to coddle him. To lose him is to lose the game, but he’s a powerful force all on his own. While there is card synergies and a metagame to consider, you could easily start a deck with the coolest-looking general of one of the game’s five factions. Throw in some minions and a few spells, round out your curve, and then get cracking. The shotgun approach will get you started nicely, but eventually, you will have to worry about card quality and synergies, and all that meta-game stuff. And like virtually all card games, building your collection either comes down to grinding, or spending money, and as the expansions start to pile (Duelyst currently has 4 in addition to the core set), this can become daunting to new players. You can earn in-game gold through a few different ways in Duelyst, the primary of which being quests. Use that gold to buy spirit orbs (card packs). There’s also a crafting system that lets you break down unwanted cards in order to create more desirable ones. 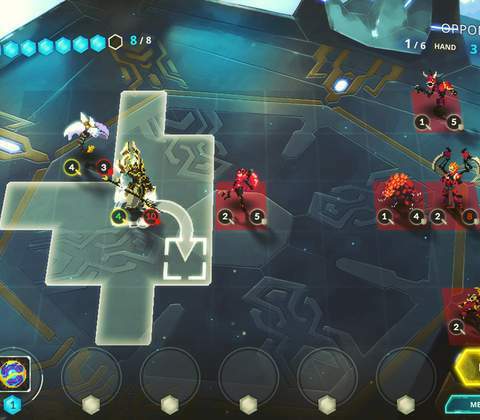 Once you have a decent handle on the game’s mechanics, as well enough cards to show off your handle on said mechanics, you can jump into one of Duelyst’s four game modes. Practice is where you can go to test out decks or just refresh your knowledge of the game after a year away, and if you’re not quite feeling up to jumping into the Seasonal Ladder, you can always test yourself with the Solo Challenges. These are a great way to both challenge yourself (hence the name) and earn some gold. Most challenges revolve around killing the enemy in one turn using a specific strategy. Think of them as puzzles. Each challenge has one intended solution, so if you get stumped too hard, you could always Youtube the results. Or you could take the high road and figure it out. You can retry as much as you want, so that’s no problem, but you can only gain the gold reward once for winning. Your general doesn't fight alone. While these challenges offer up a good opportunity to learn mechanics and earn some gold, you’ll want to eventually graduate into fighting real players, and you’ll be doing that through the seasonal ladder. Each month, players can compete all the way from rank 30 to rank 5. The entire system is also split into divisions, and if you enter a new division, you can’t drop back to a previous one. At the end of a season, you’ll be rewarded based on your highest division rank achieved. Rewards range from spirit (crafting material) and gold to legendary cards. Of course, you must do pretty well to earn a legendary card. If this is starting to sound familiar, Duelyst’s ladder is much like Hearthstone’s. There are win streaks here, too, that allow you to zip your way through it more quickly. There’s also the Gauntlet, which – much like Hearhstone’s Arena – allows you to spend 150 gold to buy a ticket. Afterwards, draft a deck and then run it through the ringer in an attempt to get up to 12 wins before you get 3 losses. If you do happen to make it to at least 7 wins, then you get another ticket for Gauntlet entry. Pull this off often enough, and thus begins infinite Gauntlet. Make no mistake, though, it takes a lot of skill and luck to get to 7 wins, let alone 12. But if you do make it to 12, prepare to reap some spoils. 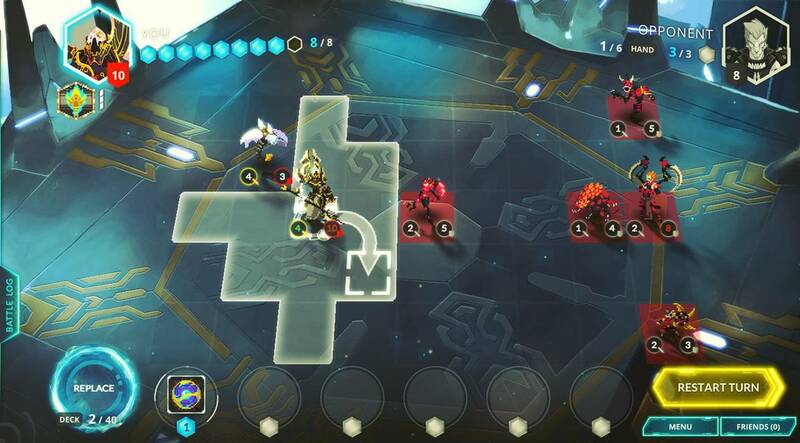 Those are the two primary game modes in Duelyst, but there is also a weekly boss you can fight to earn a spirit orb. Ultimately, gold is the lifeblood of your ability to play Duelyst for free. There does seem to be a nice collection of ways to get it, but it’s certainly not bountiful as some of those sources do dry up, such as the challenges. Unless you’re one of the few people talented enough to regularly do well at the Gauntlet, don’t be surprised if you feel the urge to spend money to stay competitive. Or, at the very least, catch up if you’re new to the game. The armory not only offers spirit orbs for the real-money diamond currency, but also emotes, profile icons, card backs, skins for the generals, battle maps, bundles, and the occasional special. There are also crates – better known as loot boxes – which contain cosmetic items and cards. You have a chance to get one randomly every time you win, and a special boss crate whenever you win a boss battle. They also require a key to open, which gets more expensive based on the rarity of the crate. You can hold at most 5 of each crates, and the boss one has a 48-hour duration. 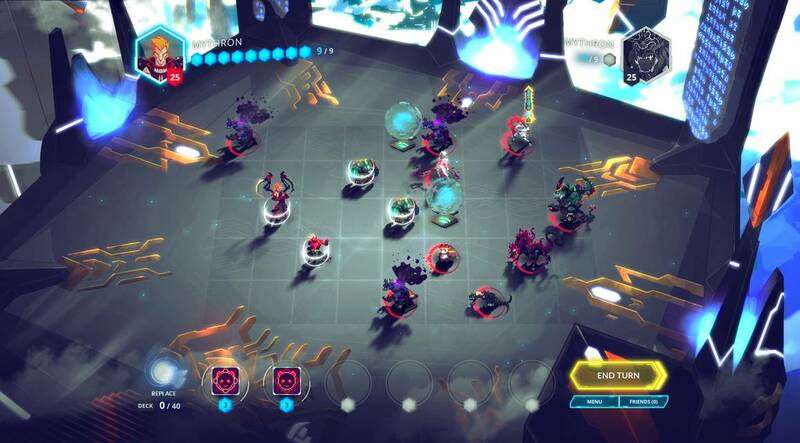 Duelyst wasn’t always as aggressive with the microtransactions as it is now, but Bandai Namco stepped in to publish the game. That’s when the loot boxes made their way in. 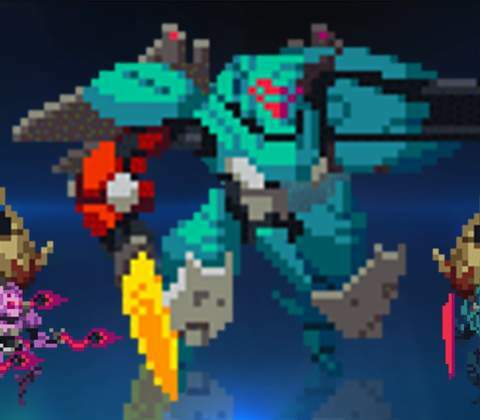 That’s not to say that Duelyst isn’t still a solid game with great pixel-art, but like most digital CCGs (and physical for that matter), staying competitive might cost you a pretty penny. 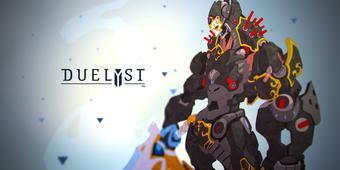 Ready to enter the world of Duelyst? Click here to play now!